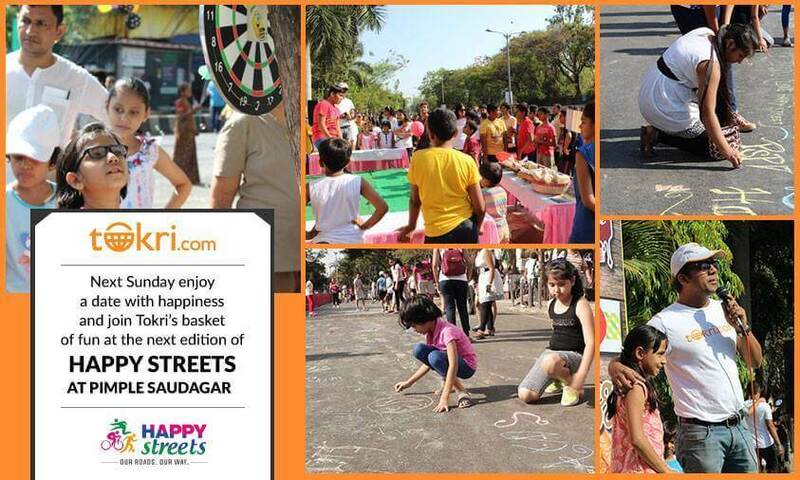 Pune: Come Sunday and the fun and excitement of Happy Streets will shift to a new location Pimple Saudagar. For three hours starting 6.30am, the entire stretch from Kokane Chowk to Swaraj Chowk on Nashik Phata will become a vehicle-free zone to allow participants to enjoy a mix of sports and recreation. The event promises to be a cracker start to Sunday with more than a dozen activities targeted at people of all age groups. On offer will be more than a dozen activities, including plenty of adrenaline-pumping sports like dancing, cycling, badminton and street football, besides yoga and meditation, drum circle and other activities specially targeted at children, including sessions on origami, toys from trash, colouring and drawing, games and toys and even chalk art. Besides, a corner will specially be dedicated to the promotion of Kabaddi. The popular WhatsApp Selfie contest will be running this week too, which gives participants a chance to feature in the Times of India. To participate, citizens just need to click a selfie at the event and send it by WhatsApp on 9930920069. The photo-booth this week will be even more special as the event coincides with Mother’s Day, giving moms a special chance to enjoy at the contest. 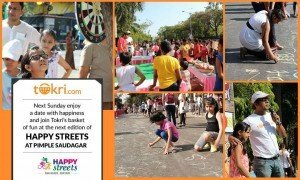 Happy Streets, a citizen-led initiative supported by the Pune police, traffic police, Pune and Pimpri Chinchwad municipal corporations, The Times of India and Maharashtra Times and powered by Tokri.com, is targeted at promoting the concept of vehicle-free roads and non-motorized transport like cycling. Tokri.com will engage the participants with a special quiz on health. Happy Streets is likely to be conducted in Pimple Saudagar for two Sundays, following which it is expected to travel to another part of the city.